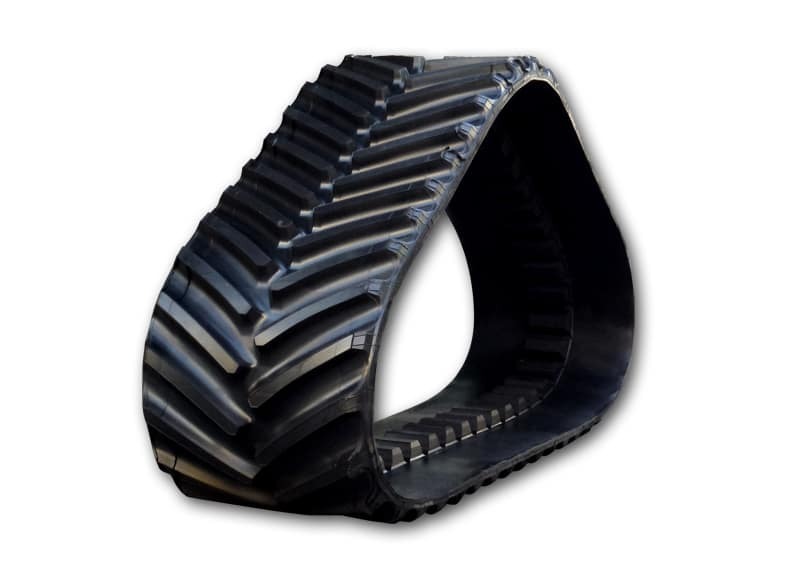 TuffAGRI rubber tracks are manufactured utilizing a single piece mould design. This means that the tread lugs and guide blocks are a fully moulded and integral part of the track. This provides increased strength and durability whilst reducing the risk of tread lug or guide block delamination or tear-off. Peace-of-mind and longevity built in. Contact your TuffAgri tracks specialist for more information! !